It seems like finches can never get enough Nyjer seed. 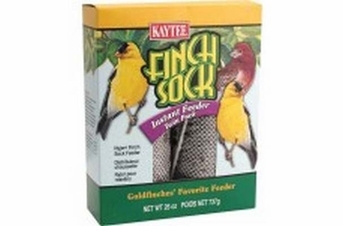 The KAYTEE Super Finch Sock makes it easy for them to get more of what they want without you constantly refilling. Also your finches are actually more comfortable and enjoy eating from a sock feeder rather than the conventional tube feeders.